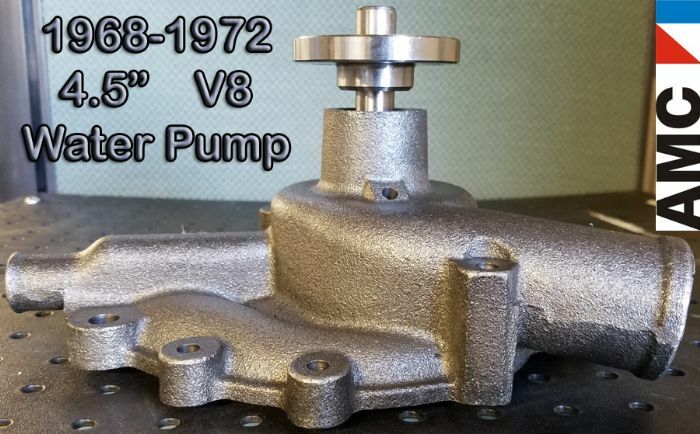 1968-1972 Correct NEW Water Pumps, NOW IN STOCK! New 68-72 V8 These are the correct 4 1/2" gasket to hub height (flange to flange measurement) pumps that have not been manufactured for years. The gasket is included and there is no core charge and no need to return your old pump. 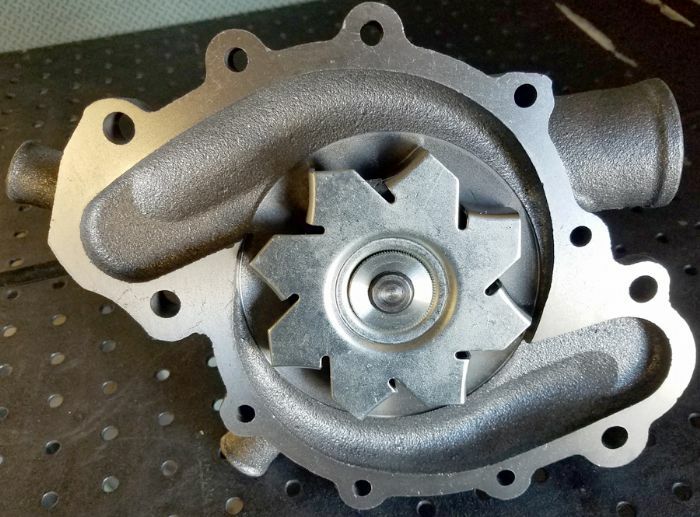 Need a different Water Pump? Check with Galvin's AMC Rambler Parts, approx. 100 rebuilt units in stock and ready to ship. 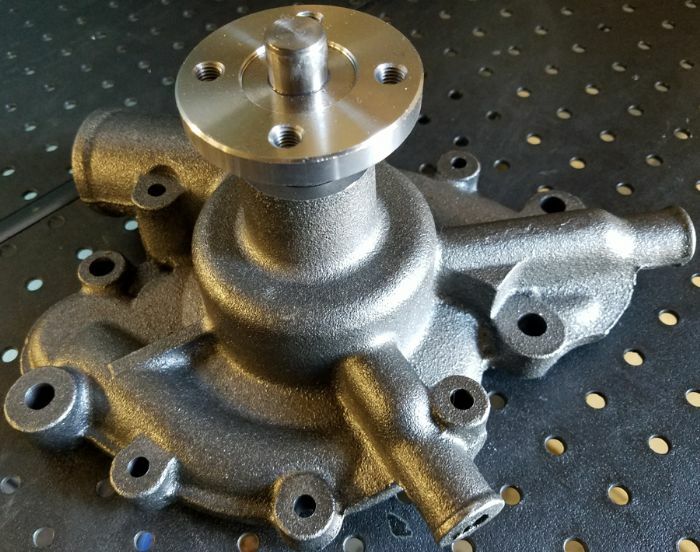 More support of the AMC vendors gets more parts reproduced. Reuiblder source has been in the business for decades and we have never had an issue. Just to be clear, are these cast iron or aluminum? They look cast iron in the picture but... I have bought some things that were "correct" over the years that weren't exactly, completely correct.